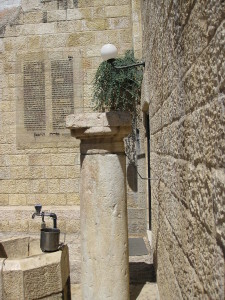 A sink for ritual hand washing at the entrance to the Ramban Synagogue. Some people define Torah observance as learning a little bit about the Jewishness of Yeshua, so that we can walk as He walked. Yeshua was a Jew, raised in a culture of first-century Judaism, and as we learn about how He lived and how He thought, we can follow His example. We can be one of His disciples. “Now by this we know that we know Him, if we keep His commandments. He who says, ‘I know Him,’ and does not keep His commandments, is a liar, and the truth is not in him. But whoever keeps His word, truly the love of God is perfected in him. By this we know that we are in Him. He who says he abides in Him ought himself also to walk just as He walked” (1 John 2:3-6). However, my goal is not to simply learn a new Jewish culture. Rather, I want to be obedient to the commands of His Father, just as He was. Sometimes first-century Jewish culture was actually anti-Torah, as Yeshua explains in Matthew. One day the Pharisees and teachers of the law – who would be equivalent to our modern-day rabbis – came to Yeshua and asked Him why His disciples did not wash their hands before eating, in the tradition of the Orthodox rabbis. Handwashing before meals is not commanded in the written Torah, but there is certainly nothing wrong with washing hands before eating. Yeshua did not condemn their tradition of hand washing because it was a tradition – but rather because many rabbis were teaching their disciples that it was a command of God even when it wasn’t. Sometimes traditions even replaced the commands of God. Why do you also transgress the commandment of God because of your tradition? For God commanded, saying, “Honor your father and your mother”; and, “He who curses father or mother, let him be put to death” (Matthew 15:2-3). These verses are both direct quotations from the Torah, from Exodus 20:12, Deuteronomy 5:16, Exodus 21:17, and Leviticus 20:9. But you say, “Whoever says to his father or mother, ‘Whatever profit you might have received from me is a gift to God’— then he need not honor his father or mother” (Matthew 15:5-6). 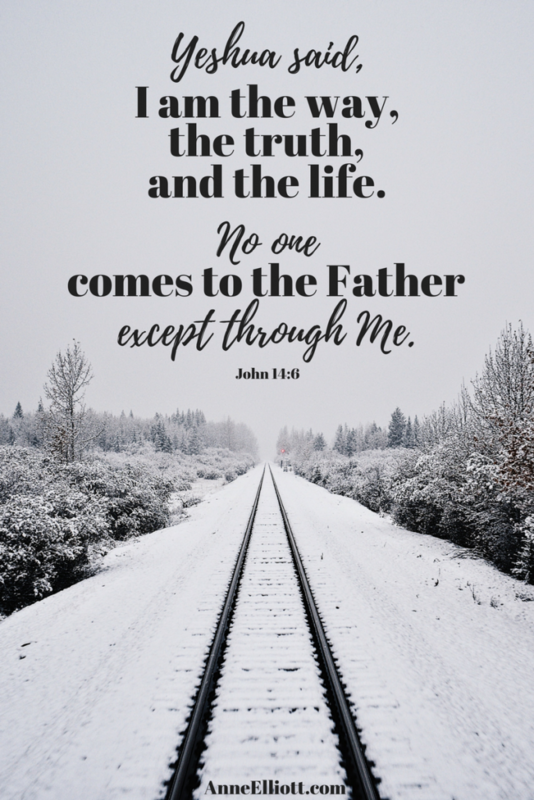 Yeshua was referencing a first-century rabbinic teaching that had been elevated to a place of higher importance than the written Torah given by Moses, even to the point of replacing the direct command of God to honor one’s parents. “‘”These people draw near to Me with their mouth, and honor Me with their lips, but their heart is far from Me. And in vain they worship Me, teaching as doctrines the commandments of men”‘” (Matthew 15:3, 6-9, quoting from Isaiah 29:13). By the first century, much oral tradition had crept into Jewish culture. Tradition said that Moses received both writ-ten law (Torah) and oral law (Halachah) on Mount Sinai. The oral laws given to Moses were to guide everyday practice, or the way in which people should specifically “walk out” the Torah. Legend had it that these laws were passed down orally from the seventy elders of Israel, all the way through the centuries, until by the time of Yeshua, they were formally taught (still by oral transmission) to each new generation. After the destruction of the Temple in Jerusalem in 70 A.D., the Pharisees wrote the oral traditions down so that they would be preserved. While there are several versions, the majority of Judaism recognizes the “Babylonian Talmud.” When a modern-day Jew claims to be “Torah Observant,” he means that he tries to live his life in obedience to the oral law, to the Talmud, as taught to him under the authority of his local rabbi. Yeshua placed a strong emphasis on the commands of His Father. 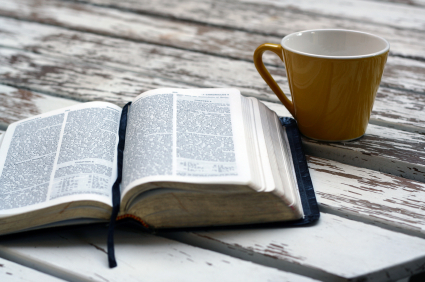 In fact, the book of John tells us that Yeshua Himself is the Word of God. “If anyone loves Me, he will keep My word; and My Father will love him, and We will come to him and make Our home with him. He who does not love Me does not keep My words; and the word which you hear is not Mine but the Father’s who sent Me” (John 14:23-24). If I want to be obedient to Yeshua, then I must learn to be obedient to His Father. « What Does It Mean to Be Torah Observant?